There will be a hive of activity at Melbourne Market this Thursday 15th November as beekeepers swarm in for National Pollinator Week, to make a buzz about Why Bees Matter. Beekeepers are doing a walk through the Market with live bees in an observation hive to explain what’s happening to bees around the world, why beekeepers are worried, and why farmers, wholesalers and retailers should be too. “If your business handles fresh produce, then you’re likely exposed if we experience pollinator decline” says Fiona Chambers, CEO of Wheen Bee Foundation. Honey bees are the most efficient and widely used pollinator in the world, but they are facing numerous challenges. In Australia, these include impacts of pesticides, maintaining access to quality nutrition through access to forests, and threats from pests and disease. Click here to read more on the MMA website and look out for the Wheen Bee Foundation team walking around the Market with their observation hive full of bees. On Tuesday 27th November at 11am, we will be conducting a full site emergency evacuation drill. Although we conducted an evacuation drill two months ago, given recent events in Melbourne we need to be diligent in ensuring the safety and wellbeing of Market tenants and users. The previous emergency evacuation exercise did not include the PropertyLink warehouse precinct tenants and employees. A joint exercise will ensure maximum benefit and efficiency. The drill will evacuate all tenants on Market land, including all administration building tenants, Buyers’ walk tenants, warehouse tenants, visitors, and subcontractors on site. Upon hearing the site evacuation tones everyone will need to follow site evacuation procedures and follow the directions of Market Relations Officers. The drill should take approximately 20 minutes. This week we talk to Dwayne Davenport from Davenport Plants. 1. Your role at the Melbourne Market: I’m the Owner of Davenport plants at stand 469. We sell a large range of indoor and tropical plants. We’ve seen a big climb in the sale of indoor plants in the past two years, they’re quite popular at the moment. 2. If you could only take three fruits or vegetables with you to a desert island, which would you take: Mangoes, tomatoes (I like steamed tomatoes), and pink lady apples. 3. When was the last time you bought flowers for someone: I bought my wife a bunch of flowers about five minutes ago! This is probably the first time I’ve bought her flowers in about four years, I don’t normally think to buy them for her, but she messaged me and asked I bring some home. 4. Tell us something that is on your ‘bucket list’: I want to do the Kokoda track. 5. 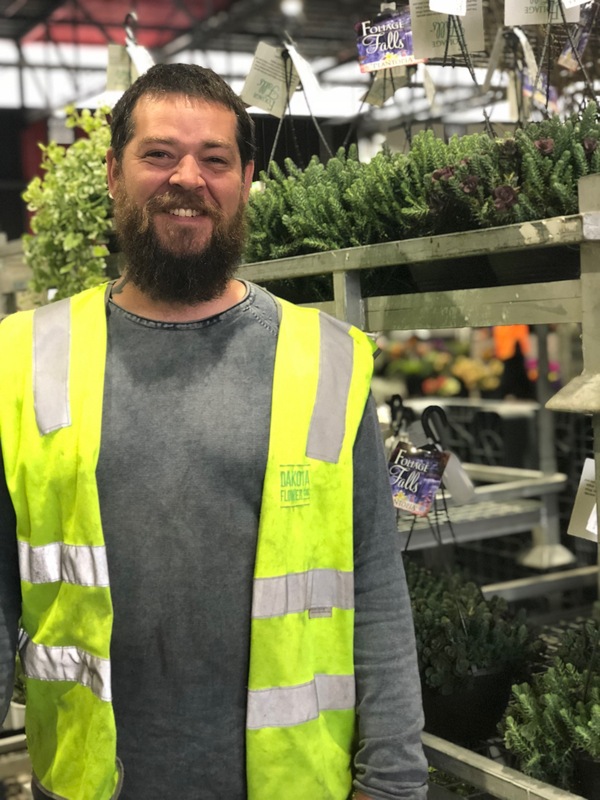 What do you most enjoy about working at the Melbourne Market: You get to meet a lot of different people, different cultures, ways of doing things, which is good. 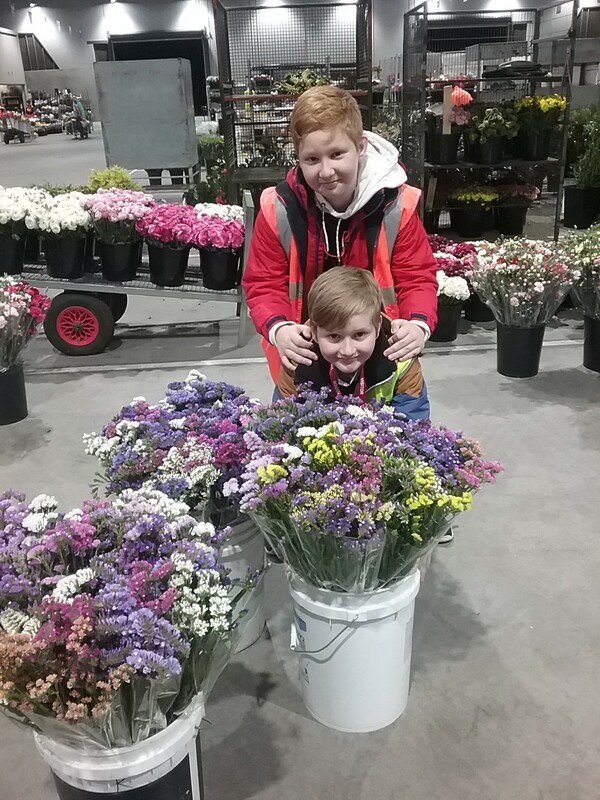 Flowers Victoria (FV) are asking for all grower and florist members that wish to get involved in the Melbourne International Flower and Garden Show (MIFGS) to let them know. 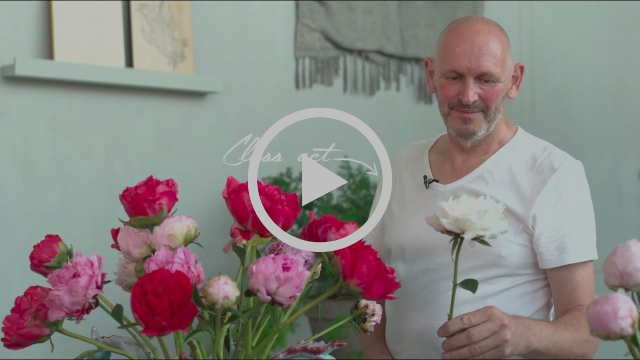 They are looking for florists to engage with the wedding table competition as well as growers to assist with selling flowers straight off the farm. For those that want to get involved with MIFGS please contact Kate Rogers on 0407 048 622 or krogers@vff.org.au. On 11th December Flowers Victoria (FV) will hold their Annual Meeting at 4pm. It will be held at the York on Lilydale Resort, on the corner of York and Swansea Roads, Mount Evelyn. All current and prospective members are welcome to attend, and members are invited to enjoy a bistro meal together after the meeting. Please contact Alana Pittard or Kate prior to the 1st December to purchase a ticket for only $20. FV are calling for nominations of members who wish to get more involved on the committee for 2019. FV are encouraging more of a ‘grower focus’ and getting back to addressing policy issues in the industry as well as hosting the flower show in March. Nominations will be open to all members – growers and florists. Nominations must be lodged with the VFF Returning Officer, Level 5, Farrer House, 24-28 Collins Street, Melbourne Victoria 3000 or emailed to returningofficer@vff.org.au no later than Thursday 3 December, 2018. For the nomination form CLICK HERE. As the warmer weather approaches we often find that flying insects tend to congregate in the corridors outside the toilets. To reduce the number of insects in these areas automatic bug spray dispensers have been installed. To stop the spread of germs, hand sanitiser dispensers have also been installed outside all toilets around the Market for your use. During the September school holidays approximately 35 children visited the Market. The Children in the Marketevents, held during the school holidays, allow families to bring their children to experience the workings of the Market and in some cases expose them to the family business they may one day be running. To see all the happy snaps from over the two days, visit the Melbourne Market website. 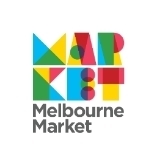 If you’ve got a question or suggestion for the MMA email it to submissions@melbournemarket.com.au.